Or view larger version. White Angel Bread Line, San Francisco. 1933. Dorothea Lange. Gelatin silver print. Collection of Oakland Museum of California. Gift of Paul S. Taylor. 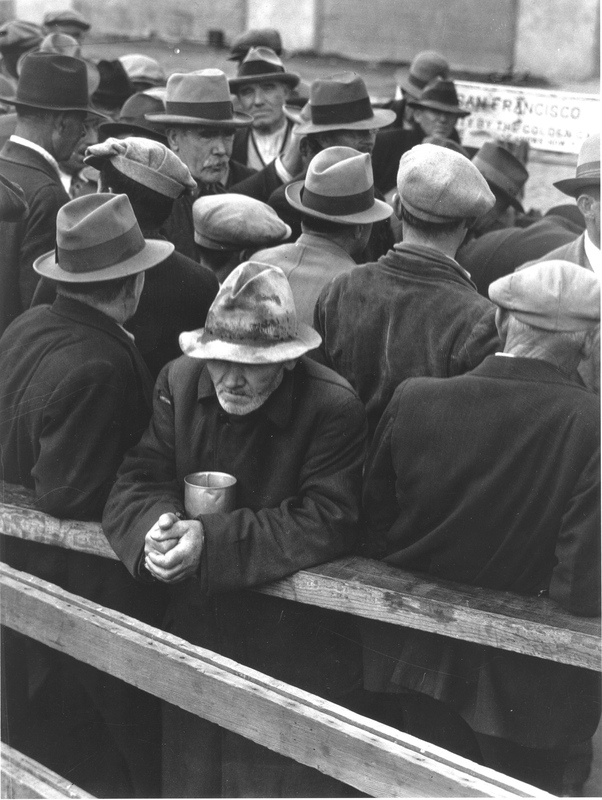 This photograph shows a breadline at a soup kitchen in San Francisco, California during the depression. Lois Jordan, a wealthy widow living in San Francisco, known as the White Angel, established a soup kitchen to feed the needy and hungry. With little or no outside funding, Jordan fed more than one million hungry men over a three year period.